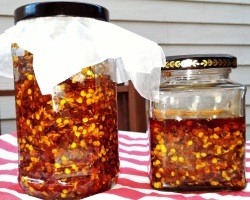 This side is an abbreviated version of the typical vinegar chilli that I used to have in my childhood. It's quick, a little sour and spicy, perfect to spice any noodle dish up. 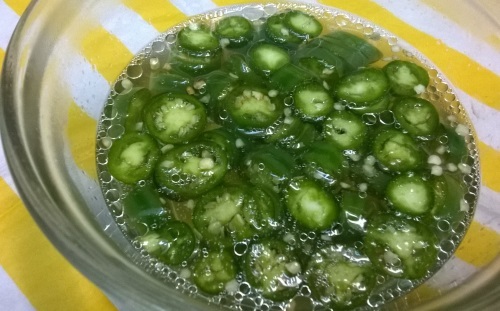 Slice chillies into 1/2 cm rounds. Add vinegar, sufficient to cover the chillies. Add fish sauce and cooking oil (cooking oil keeps chillies crispy). Let stand for 1 to 8 hours. Serve as a side to any dish. May store, refrigerated for up to 2 days.